Agglomeration machines are a cost efficent way of recycling thin walled polymers. Agglomeration machines are used for physically transform loose plastic material into chips suitable to be fed the hopper of an extruder. Agglomerator is a cylinder with five to nine stationary and two rotating blades at the bottom which create friction and heat. This process causes material to reach to the softening point. In this stage, operator add some water to create a kind of shock. After water evaporates, material comes out from pneumatic operated discharge door as chips. 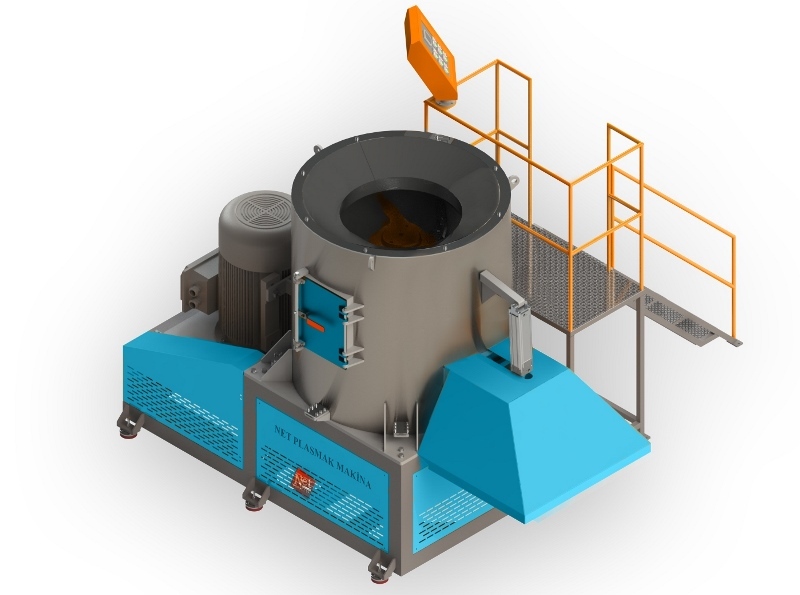 Agglomerators can be used as material drier and densifier. Netplasmak manufactures agglomerators in various drum sizes. Ø600-Ø800-Ø900-Ø1000-Ø1100-Ø1200-Ø1300-Ø1400- Ø1500mm drum sizes. The capacity is between 100kg/hour-1000kg/hour. Motor power and other properties of plastic agglomerators are customized depending on plastic material types to be recycled. © 2019 Netplasmak A.Ş. All Rights Reserved.